Leek Pie is a delicate, rich, fragrant plate of deliciousness. 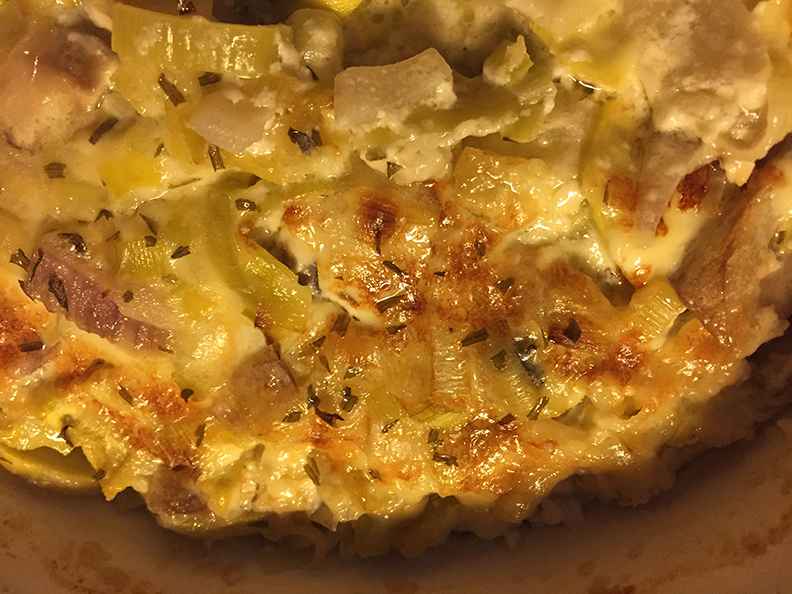 I have made this leek pie at least half a dozen times now; the first as a leek pie, but each time thereafter, adding other vegetables in with the leeks. Every single time, it is amazing. When I made it for a friend, she has made it weekly ever since. Although pie is typically includes a crust, I am not a fan, so I make mine crustless. Leeks, a cultivar of allium ampeloprasum, have a mild onion-like taste. The genus allium also contains the onion, garlic, shallot, scallion, chive, and Chinese onion, making them easily interchangeable. 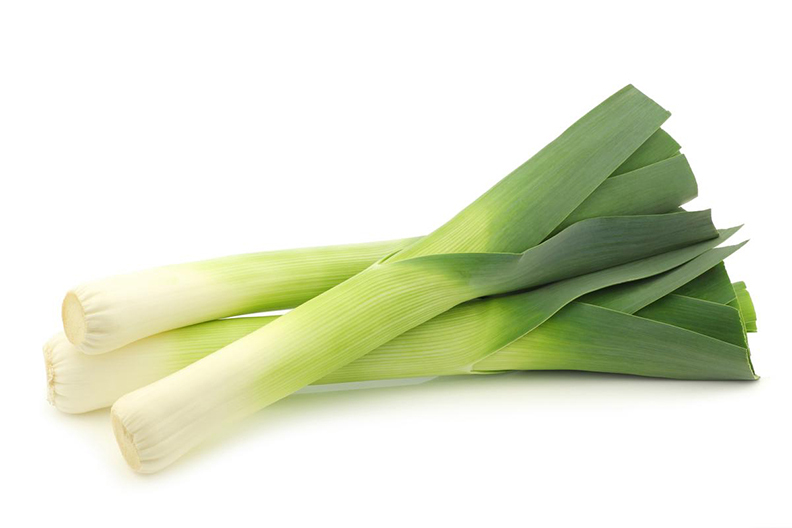 The edible part of the leek is a bundle of leaf sheaths that are sometimes erroneously called a stem or stalk. In its raw state, the vegetable is crunchy and firm. The edible portions of the leek are the white base of the leaves (above the roots and stem base), the light green parts, and to a lesser extent the dark green parts of the leaves. The dark green portion is usually discarded because it has a tough texture, but it can be added to stock for flavor. Melt the butter in a large skillet over medium-low heat. 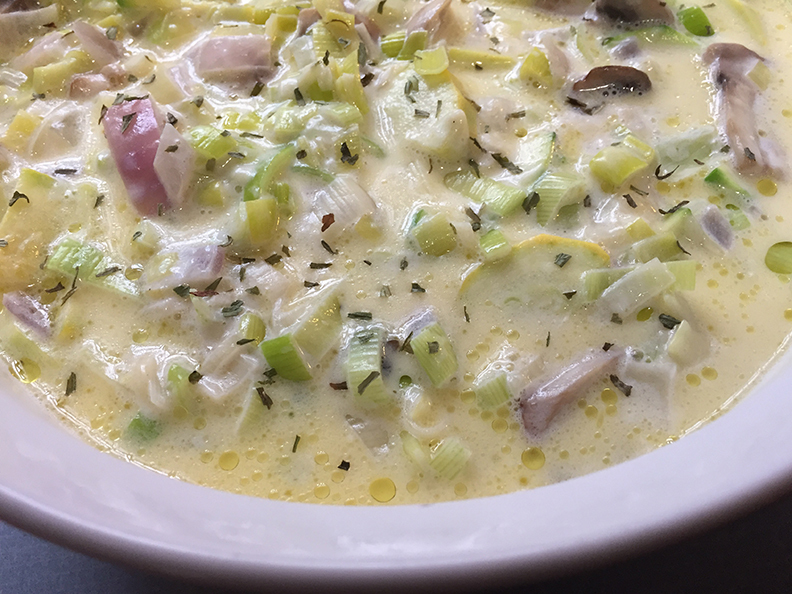 Stir in the leeks and garlic* and cook for 10 minutes or until soft. Season with sea salt. Reduce heat to low and gently stir in cream and cheese for one minute to combine. Pour mixture into pie crust (or into a greased baking dish without crust). Optional: sprinkle fresh or dried thyme, parsley, or tarragon over the top. Bake in preheated oven for 30 minutes until custard is set and golden on top. 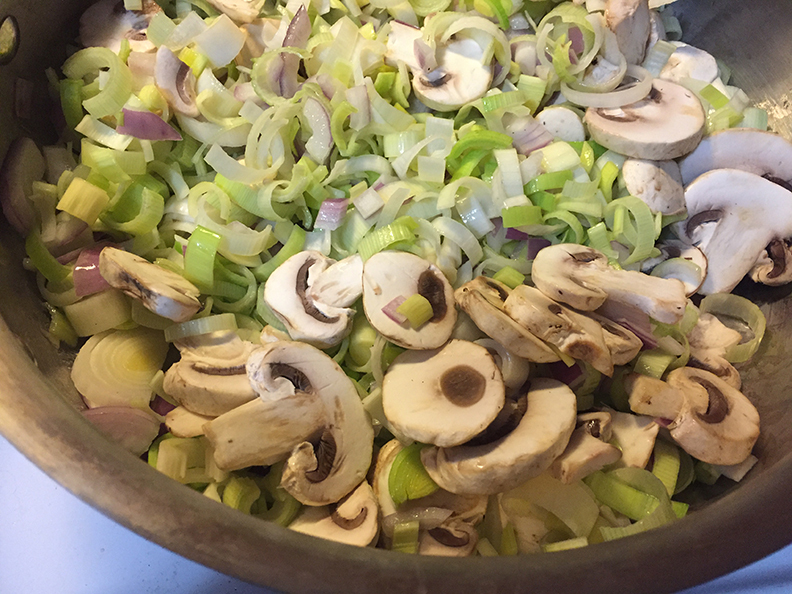 Add chopped or sliced sweet yellow or red onion, mushrooms, cauliflower, zucchini, and/or yellow summer squash to the skillet and sauté with the leeks. 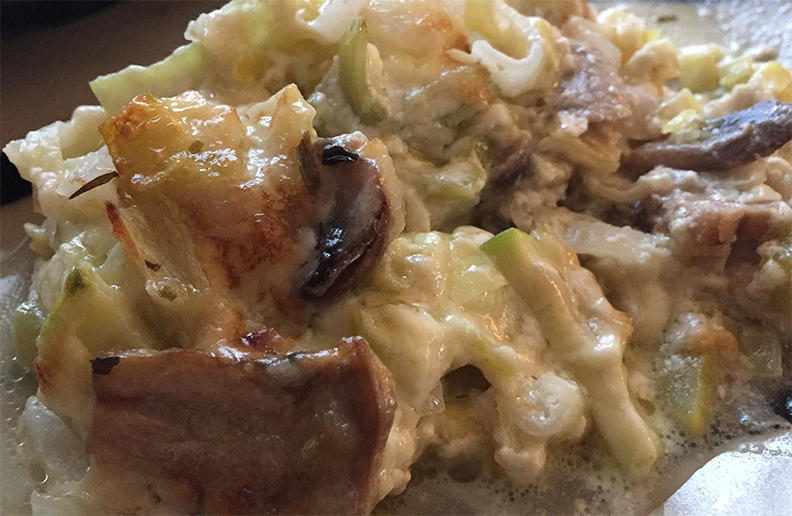 If the vegetables end up being too much for a pie dish, bake the leek pie in a soufflé dish. If need be, add only enough extra cream to ensure vegetables are just covered. Clean leeks thoroughly by slicing in half lengthwise and then massage any dirt that might be trapped within its layers, while running under cool water. Store whole or chopped leeks in a tightly covered glass dish or ziplock bag in the refrigerator for up to one week. The white as well as the light green leaves are edible. 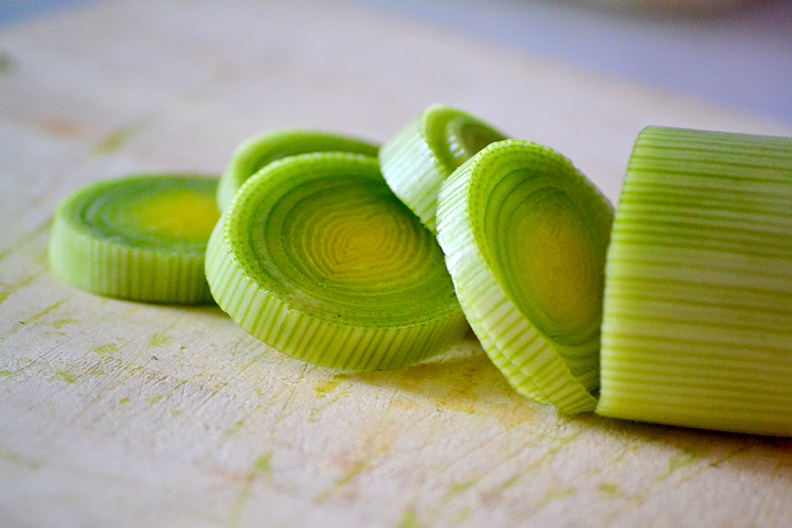 Slice into coins to use in soups, frittatas or stir fries. If you make this recipe, snap a pic of your dish and hashtag it #kellylenihancooks. I'd love to see your creations on Instagram, Facebook, and Twitter! NOTE: All images and text on this website are protected by copyright. Please do not post or republish this recipe and/or images without written permission from Kelly Lenihan. If you want to share this recipe, please share the link rather than the whole recipe. Click here to see more recipes!